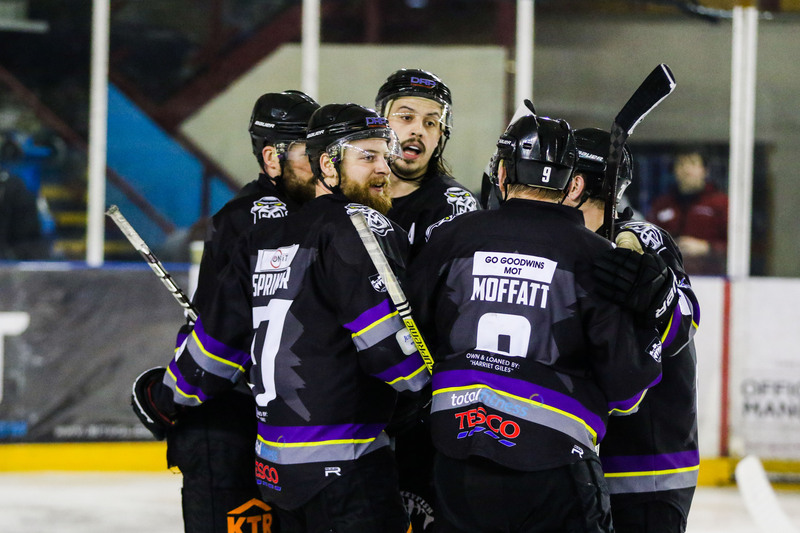 Your Go Goodwins Manchester Storm were able to come away from their 2nd sellout in as many games, with a 3-2 win, thanks to Scott Pitt’s winner five minutes into the third period, as Storm’s title dream is kept alive as they came from behind to beat Fife. The gap behind the Cardiff Devils remains eight points, but it was important Storm hung in there, however, the first period perhaps cast doubt on that. Fife, still missing some key players, took the lead ten minutes in to the first period, when Chase Schaber fired in a one-timer on the powerplay to give the away fans some early cheer. Then Jim Jorgensen scored to make it 2-0, as the Flyers once again made the most of having an extra man on the ice. 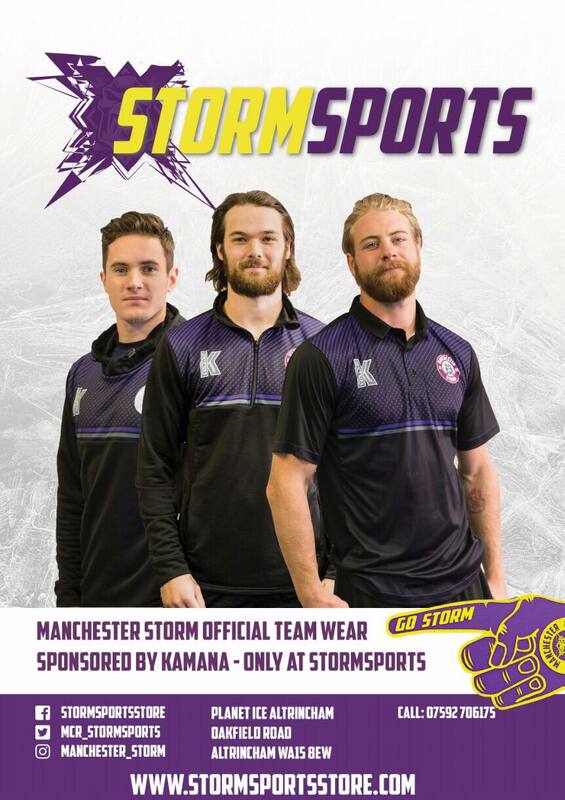 Storm wasted no time in getting themselves back into the game with a shorthanded effort, after Jordan Marr spilled Linden Springer’s shot, was slotted home by Dane Byers. 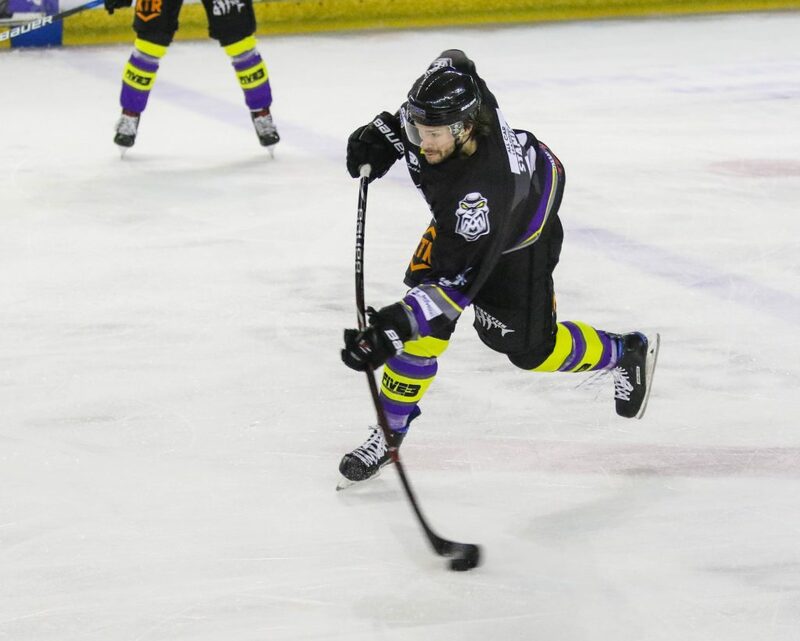 It was 2-2 eight minutes into the second period as Luke Moffatt’s shot from the point got a touch from Mike Hammond on the way in and it was all square. 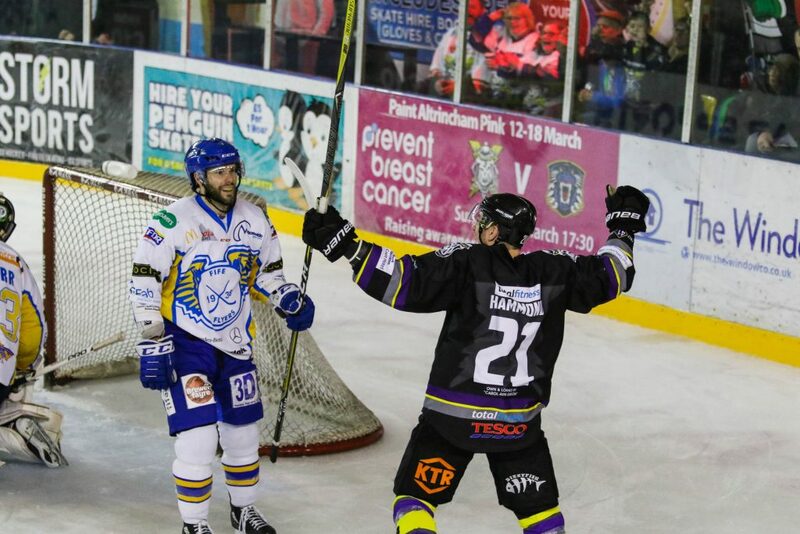 The game-winning goal came via Pitt, who managed to get a shot off that left Marr beaten again, but Fife couldn’t find a way back, despite having plenty of opportunities.